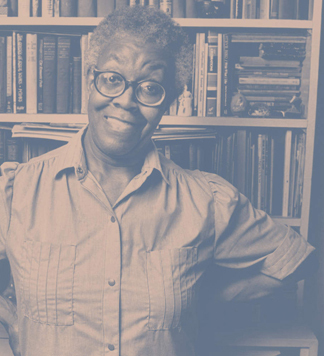 Illinois Humanities is pleased to join the many groups working to honor the legacy of Gwendolyn Brooks this year. We are doing so by reviving the statewide youth poetry awards that Ms Brooks herself ushered for about 30 years. Led by Quraysh Ali Lansana, Amina Dickerson, Nora Brooks Blakely and a small brain trust of others lending their talent, expertise and networks, we announced the new edition of the youth poetry awards last week, on April 26, 2017. The partnership with the Logan Center is telling – for many years Ms Brooks held the awards ceremony at Mandel Hall on U of C’s campus. Again, please share this information with others! For more information, go to www.ilhumanities.org/omb100. If you have questions, please contact Mark Hallett at Illinois Humanities at mark.hallett@ilhumanities.org.